I don’t know how about you, but I just can’t believe Christmas is next week and this is officially my last post this year. 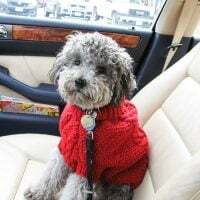 Over the holidays, I will be taking a few weeks off to spend more time with my family and make plans for the next year. 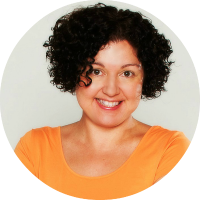 2014 was an amazing year for me – I published a cookbook, finished my nutrition school, learned a lot about food photography, recipe development, and web design. I am so excited about 2015! 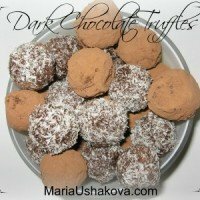 My goal is to share with you even more free healthy recipes and take this blog to the whole new level. 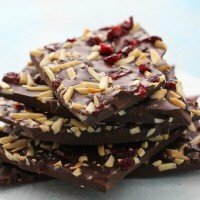 Thank you very much for following me, reading my posts, trying my recipes, commenting and sharing. It means so much to me! 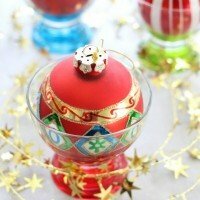 I would like to take this opportunity to wish you Happy and Healthy Holidays and all the best for the next year!!! 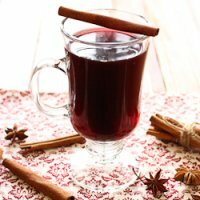 I thought it would be perfect to share with you this week one of my favorite mulled wine recipes made with rooibos tea. 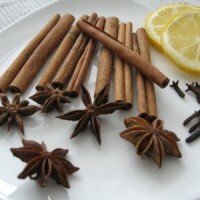 2 years ago, I published another mulled wine recipe made with cranberries. 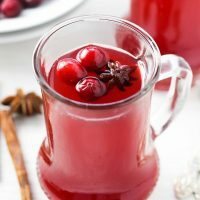 If you are looking for a sweeter mulled wine variation or for a recipe without alcohol, check out my Cranberry Punch + Mulled Wine recipe here. 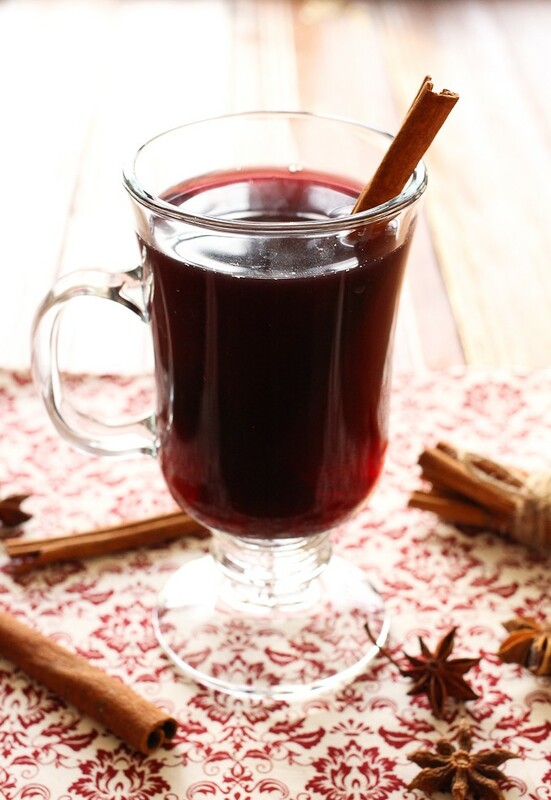 This Mulled Wine (Gluhwein) is made with Rooibos Tea and traditional winter spices. 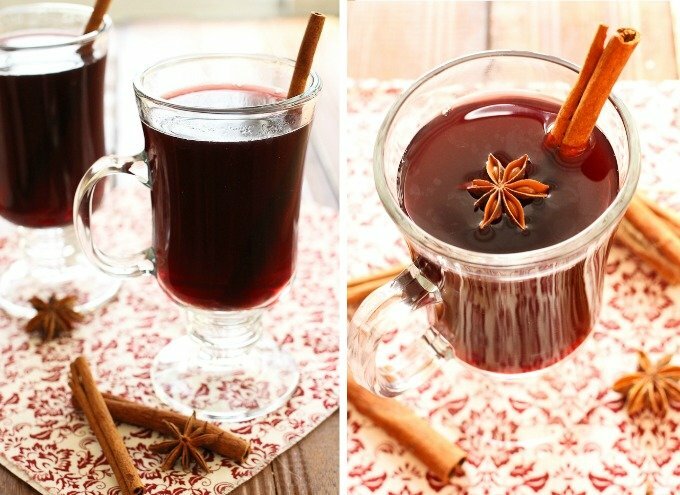 It is very easy to make and is a delicious drink that can be enjoyed all winter long. 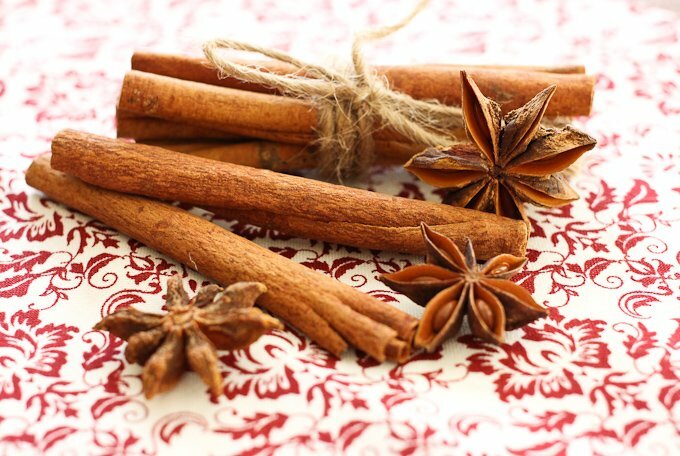 Place the tea bags, cloves, anise star and cinnamon sticks into a pot. Add 4 cups of boiling water. 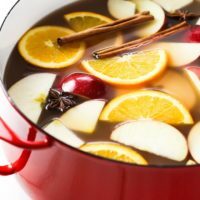 Cover and let it steep for at least 30 minutes. Add the red wine and maple syrup. Stir and slowly warm it up over medium heat. Make sure not to boil. Serve hot.